and the base, highlighting the separation of these elements. A handle detail is incorporated into the rim of the tray as both a functional and decorative detail typical of Wegner. 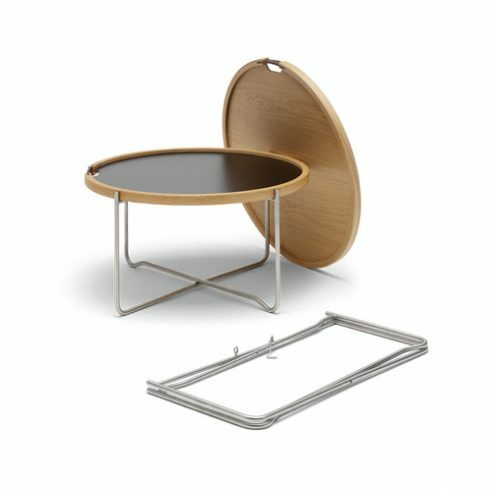 The base is stainless steel and the reversible tray is available in black/white laminate or in natural/dark smoked oak veneer with either an oiled or clear lacquered finish. The tray rim is made of light oak with a smoked oak strip inserted into the rim for the handle.